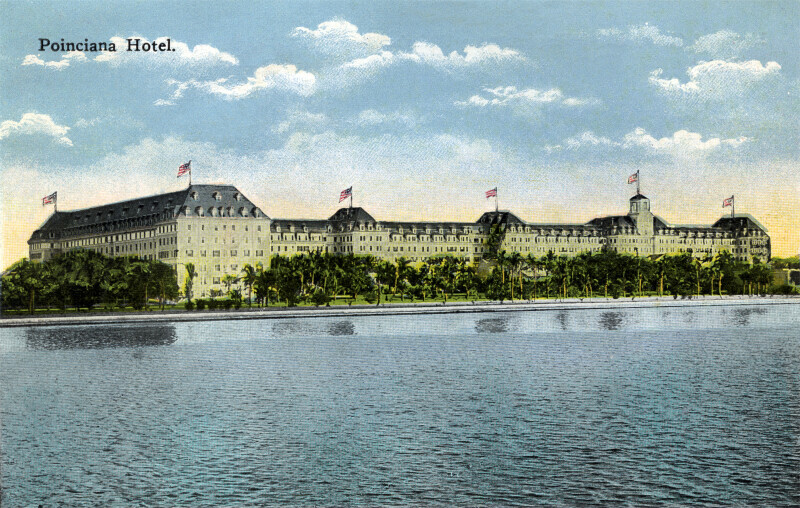 This building is the Royal Poinciana Hotel. This wood frame building was constructed in the Georgian Revival Style. In the foreground, Lake Worth can be seen. There are six American flags flying from the roof of the hotel. There are many palm trees growing on the hotel's grounds. WARNING: You are about to download a 13.2 MB TIFF!